3 Bedroom Terraced House For Sale in Glasgow for Offers Over £180,000. A bright, well presented mid terrace villa set within a popular modern development. The property is entered via entrance vestibule, leading to excellent lounge, dining sized fitted kitchen with a comprehensive range of wall and base mounted units and integrated appliances including oven, hob and hood, utility room, French doors out to private enclosed rear garden with garden shed There is also a useful downstairs wc. A staircase leads to the upper floor where there is a fabulous master bedroom with small alcove and additional window feature and en-suite shower room. Two further double sized bedrooms and a 3-piece bathroom. In addition there is a partially floored and lined loft space. The property is warmed by gas central heating and is double glazed. 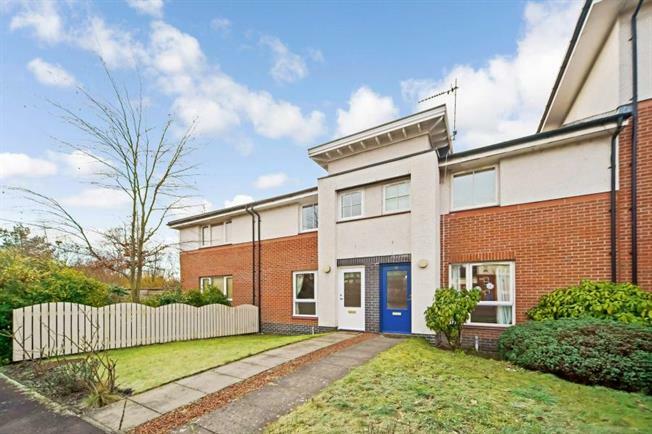 Strathblane Gardens lies within close proximity to a wealth of local amenities in particular Morrisons supermarket off Bearsden Road, David Lloyd Centre and the Forth and Clyde canal. Further local shops can be found along Great Western Road. There are easy access to all public transport routes via bus, rail and underground. Easy access to Clydeside Expressway, Clyde Tunnel and M8 Motorway Network. There is a residents playpark within the development.